Handmade quality cables that won't let you down mid-performance. The Pro Co StageMASTER Angle-Straight Instrument Cable is a cable that will perform night after night. You can depend on StageMASTER Instrument Cables to endure the rigors of the road and still be ready to take the stage with you. Pro Co understands the needs of musicians. These cables are designed to be quiet, durable and dependable. 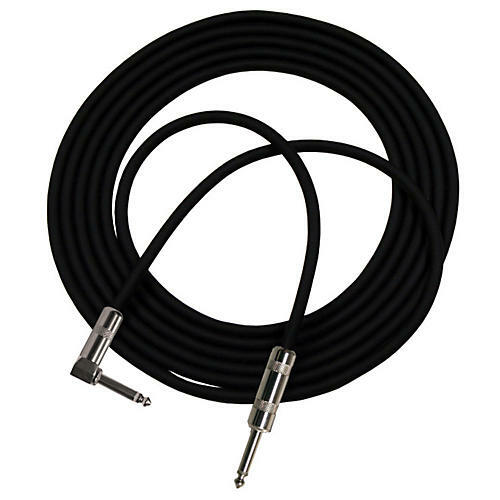 They are hand-soldered to perfection using top quality metal 1/4" connectors and extremely low-noise cable. StageMASTER cables are not "outsourced." They are manufactured in Pro Co's facilities, by their employees, according to the strictest quality standards that they have developed in more than 25 years in business.